Hay Covers: Should You Go with Round or Square Tarps in Summer 2015? Round hay bales are traditionally tailor-made for mechanical handling and storage in giant, high-clearance buildings. Despite their round size, they are very easy to stack in rows and cover with round hay covers. Oftentimes, just one person can stack and cover the bales without another man or womans assistance. The downside to using round hay bales is that they have a tendency to spontaneously combust or spoil if the farmer did not take the time to properly dry, prepare and bale the forage materials. Plus, the round bales may be too large for small-scale livestock to take advantage of before spoilage occurs. Thus, a portion of the bales may end up being wasted unless the farmer is able to put the leftover forage to good use in other areas (e.g. line pig pen). Square hay bales, on the other hand, are ideal for small farms with limited livestock populations. Consequently, they are less apt to spoil if not consumed quickly. Like their round cousins, they also stack well with very little wasted space to contend with. Subsequently, they are often stacked in tiny sheds or other small, square or rectangular buildings. However, the square bales are typically not well suited for mechanical handling. So, harvesting, storing, relocating and maintaining the square bales will often require more manual labor than the round ones. On top of that, because of the shape of the stacks, putting square hay covers in place tends to be a two to four man operation. This could prove to be problematic for farmers that are unable to hire sufficient amounts of seasonal staff. Now that you know the crux of the round vs. square hay bale argument, it should be easier to make an investment decision. Just please know that whichever type of hay covers you choose to go with, youll find them on sale at Canopies & Tarps. To learn more about the various ones we have in stock for the summer harvest, pleasecontact us. This entry was posted in hay tarps and tagged hay covers, hay tarps on May 22, 2015 by CanopiesAnd Tarps. This month, all across the county, states likeWyomingare getting ready for field day events but they arent the kind geared towards active school children. These field day events are for hay producers and those whose livelihoods rely on forage crops. As such, many of the June events boast workshops about soil maintenance, calculating crops andhay covers. If your area isnt already planning to host such an important event, you may want to consider taking up the pitch fork and setting plans in motion to host one yourself. Think about inviting related businesses to participate. For example, it may be nice to invite the local tractor supply store to set up a vendor booth or hold a discussion about the latest trends in farm equipment design. The list of others that may want to participate includes, but isnt limited to the local Ag/Farmers Bureau, seed retailers, irrigation system suppliers, barn builders and pest control companies. Wed also suggest that you contemplate raffling off hay covers to the people whodecide to sign up for the forage field day workshops. After all, people whohave forage fields will eventually need hay covers to protect their investments. So, we suspect that many will sign up for a raffle that features hay covers as the grand prize. The monies raised during the raffle could be donated to the local 4H Club or another organization determined to uphold the tradition of farming. AtCanopies and Tarps, we have round and square, high quality hay tarps that would make excellent raffle prizes. We also have other products farmers may be interested in, like machine covers, firewood covers and truck tarps. Plus, youll find an assortment of party tents, portable chairs and tables that could be utilized to set up workshop areas during your Forage Field Day. To learn more about them, pleasecontact ustoday. Dude, International Surf Music Month is rolling up on us like a rogue wave and those that arent prepared for it may just see their business profit potential wash away. So, take steps now to plan your special events and avoid being one of those washed up businesses on the shore. There are gnarly promotional opportunities to be capitalized on and weve got the setup supplies you need to hang 10 all month-long. Do you plan on hosting an International Surf Music Festival? If so, buy a surfboard bag full of blue vinyl tarps. Then set up tarp surfing spots throughout the music festivals grounds. Charge attendees to participate and have a photographer on hand too. The photographer could take pictures of the tarp surfers and sell them in a variety of ways. For example, they could put pictures of festival attendees tarp surfing on posters, t-shirts, beach towels, faux surf mag covers and more. In addition, you might want to set up a tech lounge underneath of a nearby party tent. Make sure that it has WiFi access, electricity and computer banks where attendees may hop online and share festival photos in real-time with their social media friends or family members. Just think of the public relations and overall marketing potential! In addition, consider buying portable garages and curtains that would be perfect for a surfboard customization area. Vendors could use the items to protect themselves and passersby from paint overspray and fiberglass dust. Afterward, they could sell the customized items on the spot to International Surf Music Festival attendees in the market for boss boards and fins. Those are just three ways our products can make International Surf Music Festival events a success. Our inventory may also be used to set up concert areas, food courts and more. To continue discovering why our canopies, vinyl tarps and other products are the best for surfing events, please contact us online or toll-free today. This entry was posted in vinyl tarp, vinyl tarps and tagged vinyl tarps on May 15, 2015 by CanopiesAnd Tarps. Have You Bought Tarps and Pop-Up Tents for National Tire Safety Week Yet? National Tire Safety Week is almost here. In case youre unaware, its an annual observance thats sponsored by the Rubber Manufacturers Association. Each year, they take the opportunity to remind Americans about everything from tire maintenanceand tire threads to inflation. A number of safety related agencies, auto parts and tire manufacturers traditionally join in on the event too. As such, we know that many of you are likely to host a variety of special, National Tire Safety Week events. At Canopies and Tarps, we have high qualitytarpsand automotive pop-up tents that would be perfect for National Tire Safety Week promotions. 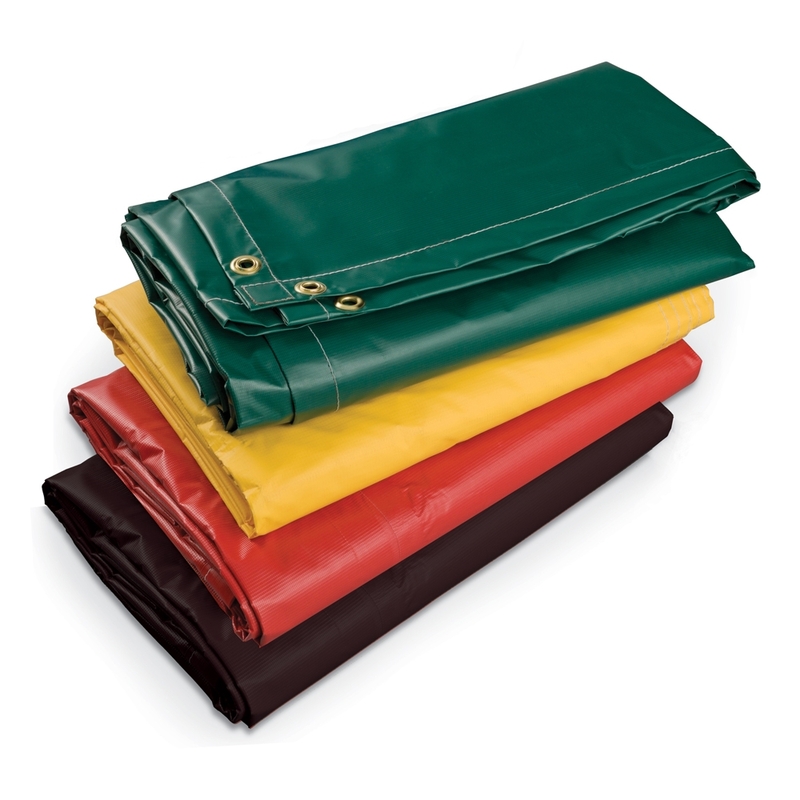 Lets start with a look at our discounted and economy tarps. Made with rust-resistant grommets and rope-reinforced edges, they are resistant to water, acid, mildew and tearing. However, they are also priced affordably. That said, we recommend using them as National Tire Safety Week giveaways. Customers could take theeconomy tarpshome and lay them down on the ground to protect their clothes when changing bald, flat or beat up tires. The tarps would also fit well inside of customers motor vehicles. They could remain in the vehicles trunks until roadside emergencies arise that require the use of a handy, durable tarp. Plus, customers could combine them with our truck tarps and other products to protect bed liners, precious cargo, machinery, roofs, firewood and more. Now lets talk about theautomotive pop-ups. Each one is perfect enough to take up valuable retail space outside of a tire or automotive parts store during National Tire Safety Week and beyond. Plus, some of them feature names of well-known tire and parts manufacturers. Examples include Firestone and Ford. To learn more about the discounted tarps and great-looking pop-ups weve mentioned in todays post, pleasecontact usnow. Well gladly take your National Tire Safety Week order and have it to you in time for those all-important events. This entry was posted in pop up tents and tagged pop up canopies, pop up tents on May 15, 2015 by CanopiesAnd Tarps. Party Tents for Country Cooking Month Promos: Bring on the Vittles! Food service businesses may want to note that Country Cooking Month is a fantastic time to pull out thoseparty tentsand host a promotional event. For those not familiar with the observance, it traditionally takes place each June. Interestingly enough, there are various foods and beverages scheduled to be nationally recognized during the month too. So, it may be wise to work those ingredients into Country Cooking Month celebrations. The list of ingredients includes, but doesnt end with Georgia blueberries, dairy products, daily alternatives, turkey, iced tea and sorghum. That said, we can picture a nice turkey dinner with milo salad, iced tea and a blueberry pie made with sorghum pie crust being served underneath of one of our party tents quite comfortably. Can you? Ourlarge tents, whether theyre enclosed or not, can fit a number of banquet tables and folding chairs with enough room for portable food warmers to be wheeled around as needed. In addition, we have fire-retardant party tents that would be ideal areas to let your promotional events country cooks dish up their best offerings. Thefood tentsare 10-feet x 10-feet and offer country cooks 84-inches of head room. The tent fabric is designed to resist stains. So, those delicious dishes wont likely leave a permanent mark behind. Plus, there are ways to provide participating cooks with ample cross-ventilation minus the insect and air particulate contamination woes typically found with small to mid-size tents. Examples include adding one to four mesh walls that simply zip into place. Businesses that plan on serving dairy products at their Country Cooking Month events may want to stick with fully enclosed tents outfitted with floor-to-ceiling windows instead. They are capable of holding portable refrigeration units as well as portable air conditioning systems and fans. To learn more about choosing the right party tents for Country Cooking Month, pleasecontact usat Canopies and Tarps today. This entry was posted in Party Canopies, party tent and tagged party tents on May 12, 2015 by CanopiesAnd Tarps. Although it is not always within your budget to make investments that provide you with high-quality and low-maintenance home additions, you should strive to fit them into your budget for pond liners. It takes time, effort, and money to replacepond liners, but you can avoid this by just investing in a high-quality pond liner from the beginning, and then following up with minimal maintenance. A pond liner makes up your pond’s foundation, which means everything else you do could suffer as a result of investing in a medium-quality pond liner. An ideal solution is to start with a reliable pond liner as you will experience fewer overall problems. Puncturing can happen in a variety of ways with a pond, and it can cause quite a few problems when it actually punctures through the pond liner as it will require repairing. The severity of the repair depends on how long the puncture goes unnoticed, and then how it long it takes to take action. An excellent pond liner will be highly resistant to puncturing to avoid these issues. Major exposure to UV rays would normally cause problems for budget-friendly pond liners. While staying within a tight budget for a pond liner might be fine at first, the lower quality materials will not be able to handle UV exposure as well as a pond liner created with high-quality materials. Depending on where you live, hot or cold weather may be a potential issue. In order to have a pond liner that can last decades through drastic temperatures, you want your pond liner to be quite well-made. While you can get your pond project started sooner than later with an inexpensive pond liner, you will find that more costly pond liners lead to less maintenance, which is a nice benefit to have. If you have any questions about pond liners, pleasecontact us. This entry was posted in pond liners and tagged pond liners on May 12, 2015 by CanopiesAnd Tarps. If you enjoy camping, there is almost nothing that will stop you from having a great camping trip, but there are things that can significantly enhance your rendezvous with nature. Getting your hands on high-quality camping equipment is essential to avoiding mishaps, and there is one addition incanvas tarpsthat are beneficial to have because they can help out in so many situations. If the weather is pretty rough and your tent does not have appropriate weather protection, you can place a canvas tarp over the tent to get sufficient protection to last your entire camping trip. Another situation where your tent might be lacking is when it does not provide enough ground protection. Fortunately, you can place a tarp underneath to protect your tent, as well as your sleeping pads and bags. Whether you are just looking for some shelter from the sun or rain, or you want to create a sheltered place to take a nap or eat a meal, you can use canvas tarps to make covered shelters. Large, heavy, and bulky items generally do not fit too well with camping, which is why canvas tarps are nice to bring along due to how lightweight they are. Since they are so durable, you do not have to worry about being rough with handling them, thus allowing you to mold them to fit into your storage options. When you want to skip a tent altogether, you will enjoy having canvas tarps as they are essential for weather protection to create a safe and protected area for sleeping. If you have any questions about tarps,contact ustoday. This entry was posted in canvas tarps and tagged Canvas Tarps on May 12, 2015 by CanopiesAnd Tarps. If you have children, its likely that you want to create an inviting play space in the backyard so that they will spend more time outdoors. In order to do this, however, its up to you to look into how you can make a swing set, slide, or sandbox an attractive addition to your yard and safe for your children to use. For these two reasons alone,vinyl tarpscan be a great way to enhance a playground in your yard that youll be comfortable with your children playing in. One of the most appealing features of vinyl tarps is that they can come in a huge range of colors and patterns. Their versatility is what allows you to choose a tarp that looks great and fits in with the landscaping and other features of your yard. Keeping in mind the exterior of your home can also help you find a tarp that will look great once set up. While you may want your kids to spend more time outside, it can quickly become a concern for you if your child is being exposed to the sun for prolonged periods. On a sunny day, your child can become overheated and even sun-burnt after just a short period of playing, making a vinyl tarp a great way to shield your children from the sun. A creative idea for using a vinyl tarp in a play area is by making a small hideout. Draping the tarp over a longer wooden or metal beam can easily make a tent that your children will love playing in, without being too confined or obstructed from your view. If youre interested in using a tarp for your childs play area, pleasecontact us. This entry was posted in Uncategorized, vinyl tarps and tagged vinyl tarps on May 12, 2015 by CanopiesAnd Tarps.